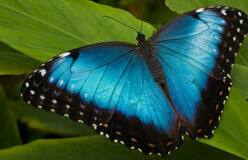 Other insects go through a four-stage life cycle, too. 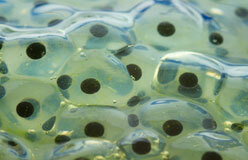 While they follow the same basic pattern—egg, larva, pupa, and adult—the details of their lives can be very different. For example, honeybee larvae don’t go off on their own and fend for themselves like butterfly larvae do. 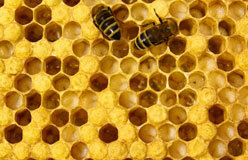 Adult honeybees care for wiggly, wormlike larvae in nurseries inside their hive. The larvae are fed literally hundreds of times a day and they grow FAST.